I highly recommend this wonderful oasis on the outskirts for locals and tourists alike! Symphony’s menu is ab fab. The wine is wonderful and the gift shop has some really fun and interesting items. LOVED IT! I want a barrel or two to perch on at home! 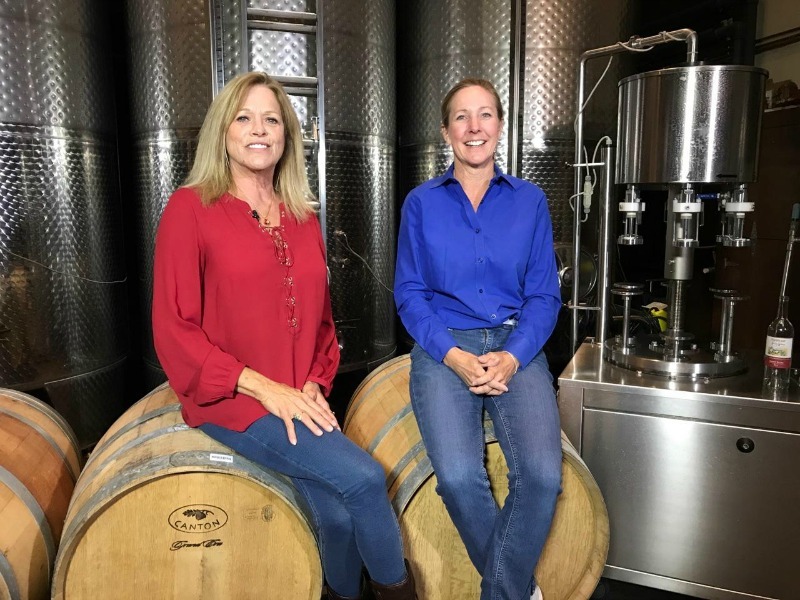 Christine McKellar perching on barrels with owner and winemaker Gretchen Loken at the Pahrump Valley Winery.